One thing about the landscaping business is that it certainly is BUSY this time of year. Lots of people in the industry call March, April and May the 100 Days of Hell. And with good reason. It's hard to catch your breath, much less keep up with your blog. But with all the color popping out everywhere, I was reminded that I need to get back to sharing some of my favorite plants. 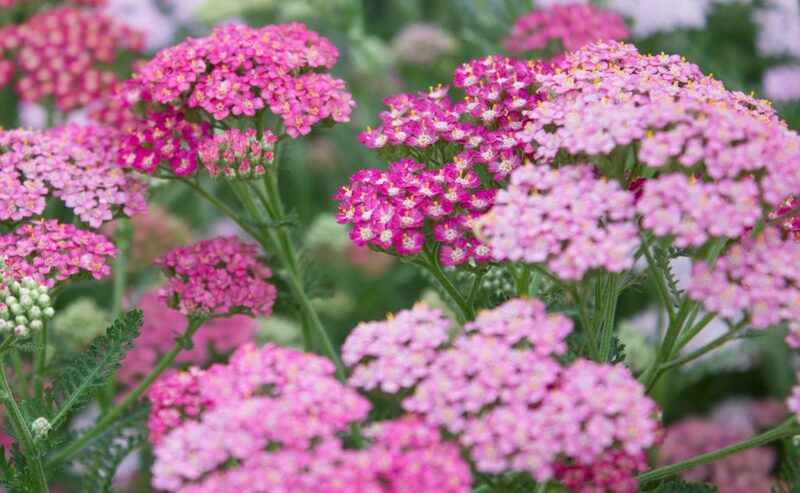 The perennial I've chosen this week for the Plant of the Week is the Summer Berries Yarrow. This one is perfect for our Hampton Road summers for many reasons. Finely textured, fern-like gray-green foliage produces tall stems of uniquely colored flower heads in shades of red, cerise, salmon, pink and more. A proven performer in hot, dry situations with poor soil. Excellent for dried flower arrangements. Butterfly friendly! 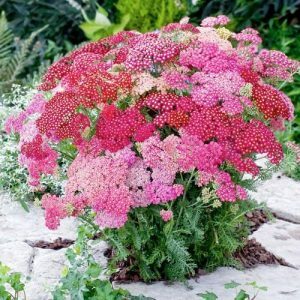 The perennial I’ve chosen this week for the Plant of the Week is the Summer Berries Yarrow. This one is perfect for our Hampton Road summers for many reasons. Finely textured, fern-like gray-green foliage produces tall stems of uniquely colored flower heads in shades of red, cerise, salmon, pink and more. A proven performer in hot, dry situations with poor soil. Excellent for dried flower arrangements. Butterfly friendly!